If you are planning a trip to the northern part of Luzon, you might want to consider a day trip to Mariveles, Bataan. Known for being the first petrochemical industrial estate and hosts the country’s first economic zone, this first class municipality is situated in a cove at the southern tip of the Bataan Peninsula. It is also comprised of 18 barangays. There are two stories surrounding the name of the municipality. One interesting story is the one about the forbidden love of a woman with the name Maria Velez and a priest who was from Manila. It was said that the two run away together and were led to the northern tip of the peninsula. Conversely, the other story is that the town was named such because of the abundance of anchovies in the municipality. Its name was first called “Maraming Dilis”, the Tagalog term for abundant anchovies. 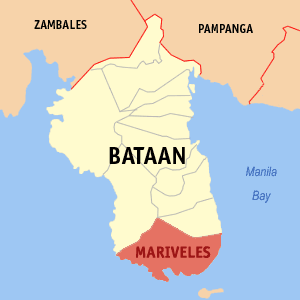 It was shortened to Maridilis and later became Mariveles. This is the ideal destination for adventurers looking to test their endurance in reaching the summit of one of the several peaks of Mt. Mariveles. At an altitude of 1,006 meters above-sea level, this is considered a major and challenging climb because of its trails. It starts with a gradual ascent on paved and dirt roads and as you progress, you will encounter upward slopes and narrow paths. Then the rest of the climb is a series of uphills and downhills to the resting point, the Papaya River. After, the trek becomes difficult because of the steep trails. There are two campsites to choose from. From the peak, you can watch the beautiful sunset and if you plan to camp out, you can wait for the awesome sunrise. While in Mariveles, there are several beaches in town like the rocky but clean Sisiman Beach, the pinkish sand of Lusong Beach and Agwawan Beach. 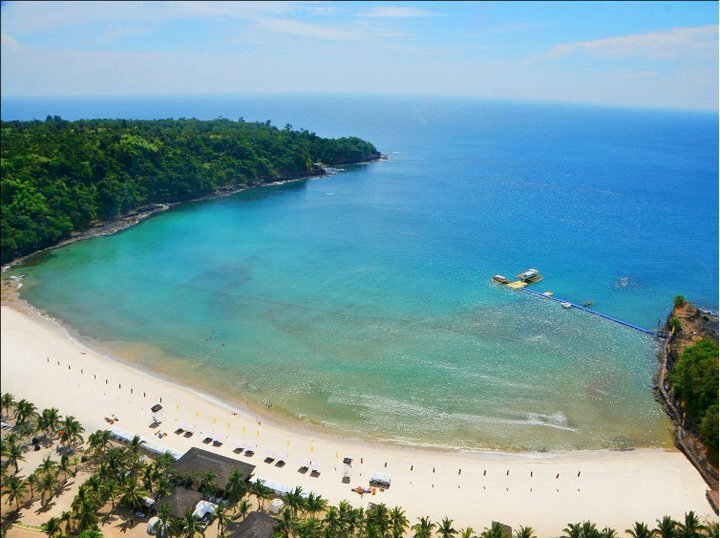 Sisiman Beach boasts of white sand, although not as fine as the sands in Boracay. However, the rock formations there are worth seeing. 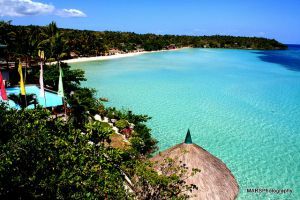 Lusong Beach is not as touristy and here, you can enjoy your time away from the noisy crowd. If it is alright for you to swim in a beach with other visitors, Mattel Beach is the destination for you. In 1942, thousands of American and Filipino soldiers who were Prisoners of War walked hundreds of kilometers to Capas, Tarlac and around 10,000 lost their lives. This marker is one of the several markers that can be found in different parts of Bataan to commemorate the heroism of these soldiers and their sacrifices during the war. This is where people, especially the elderly, go to enjoy the therapeutic effects of this hot spring. Also referred by many as the Dead Volcano, visitors frequent this place just to dip their feet in the hot spring on the mouth of the volcano. Going to Bataan is easy and you can choose from three options: land, air and water. Accessing the province by land is the most common practice by locals and visitors since it is just a short trip from Manila. There are buses plying to Bataan and passing by Mariveles. It can also be accessed by car. 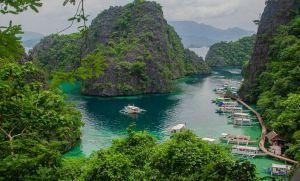 Two international airports are also located near the province, Clark International Airport and the Subic Bay International Airport. If you plan to go by sea, you can ride a ferry from Roxas Boulevard to the Diosdado Macapagal Ferry Terminal in Orion, Bataan and reach your destination in about 45 minutes. Is it worth investing a lot property in Camaya coast in Mariveles, Bataan? Say after 5 years what development do we expect here? Just soliciting a good advise.